A retreat for all levels, no experience necessary. 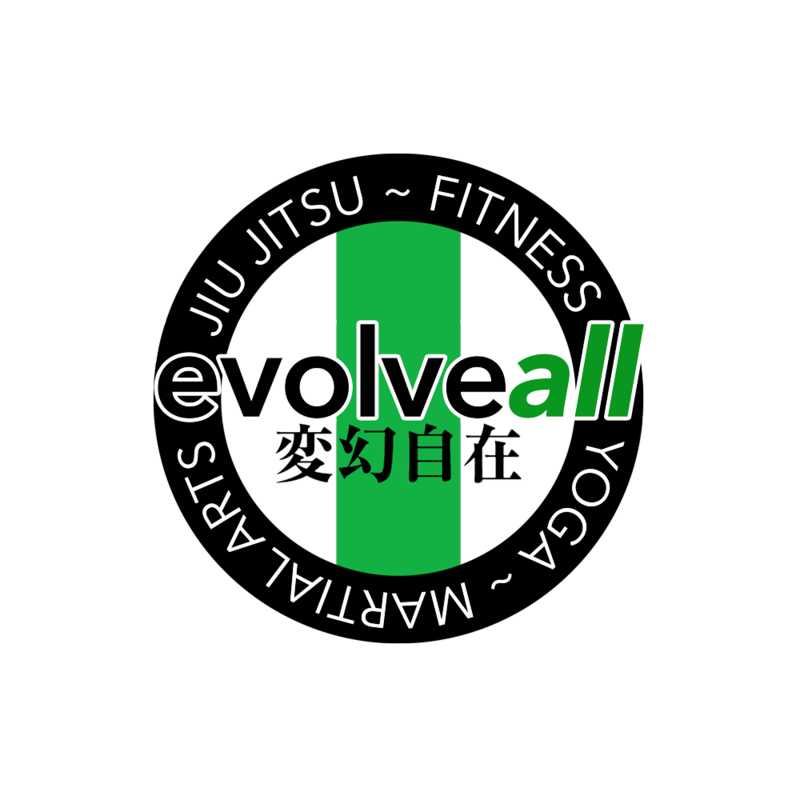 Come join Sarah and Jen for a mini yoga retreat, right here in the EvolveAll studio, and meet our two new instructors, Dana Cook and Paula Alcorn! 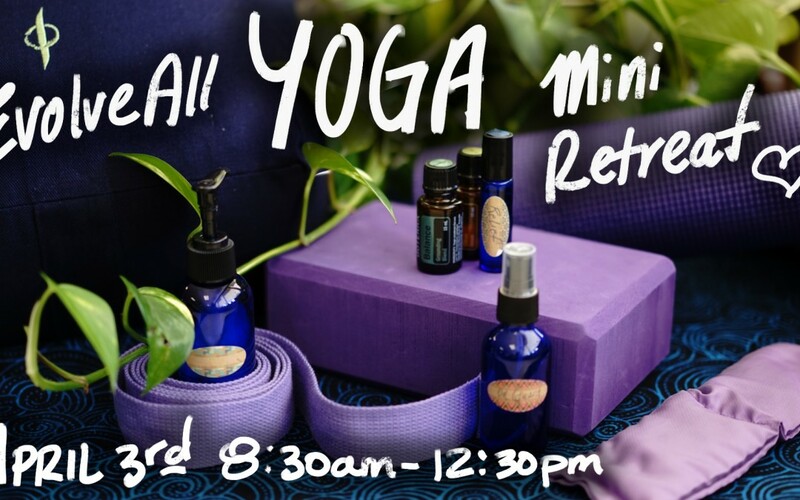 Begin your day with clear focus and a gentle yoga warmup, deepen your knowledge of foundational poses, and make a custom aromatherapy essential oil blend to take home along with your own eye pillow. 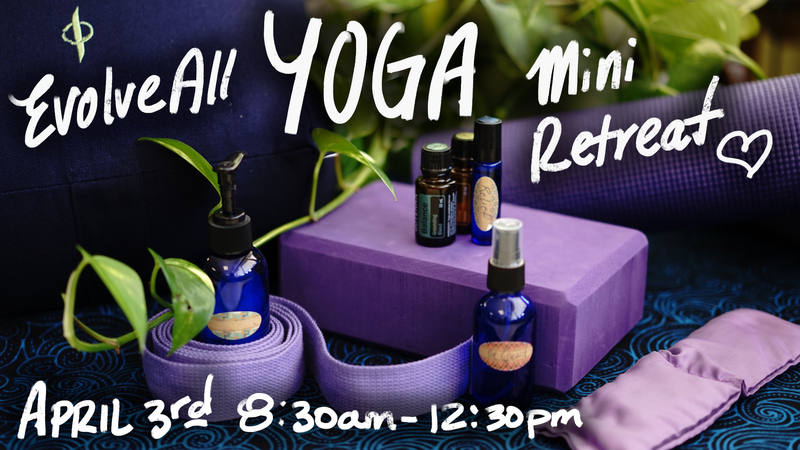 Then cultivate your calm with a gentle and restorative practice, relax and enjoy fresh-made smoothies and good company. To reserve a spot please respond to this email, let us know by phone, or tell us when you drop by.